The third Çukurova Rock Festival will begin Thursday, bringing together the biggest names in Turkish rock music in southern Turkey's Adana. Twenty-eight rock artists and bands will participate in the festival that will be held outside the Galleria Shopping Mall. 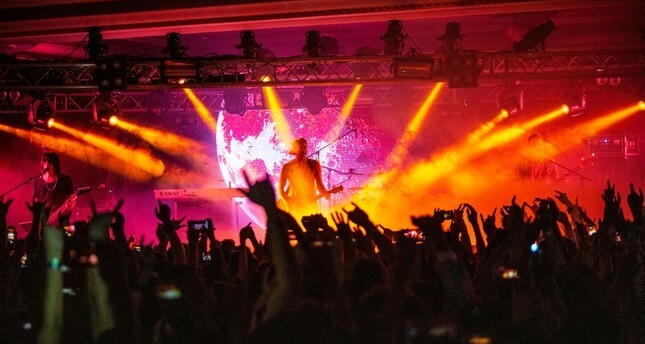 Turkish rock band Mor ve Ötesi will kick off the festival with a performance on Thursday, along with other bands such as Pentagram, Pilli Bebek and Turkish southern metal band Black Tooth. Punk rock band Athena and Moğollar – one of the oldest rock bands of Turkey that formed in 1967 – will perform on Friday along with more contemporary bands such as Pera, Nova Norda and the Family. Alternative rock band Manga will perform on Sunday alongside a band named Adamlar and singers Umut Kuzey, Sena Şener and Ezgi Pekel, and Şebnem Ferah, a prominent Turkish singer, songwriter, composer and guitarist who was once the lead vocalist of the all-female hard rock band Volvox. On Monday, the last day of the festival, classic bands such as Yeni Türkü and Mazhar-Fuat-Özkan, known by its initials MFÖ, and contemporary band Gazapizm and singer Cem Adrian will perform.